The enduring image of Liszt as a long-haired piano virtuoso dies hard. His playing met with frenzied responses across Europe in the 1830s and 40s, bringing him wealth and fame. His scandalous love affairs have only cemented our impressions of him as a 19th-century rock star – so much so that Ken Russell could cast lead singer of The Who Roger Daltrey as Liszt in his extravagant biopic Lisztomania. But in fact this phase of Liszt’s career ended early: he was only 35 when in 1847 he abruptly gave up public concertizing and settled in Weimar, a provincial German town. To his contemporaries, this decision seemed bizarre. What made him leave it all behind? Liszt had a definite agenda when he quit: he wanted to make his mark as a composer. And while it was perplexing to his friends, it was this very decision to stop performing which has cemented his legend and ensured he is more than a historical footnote today. In an era before recorded sound, Liszt’s pianistic abilities could only be appreciated by those who heard him live – whereas a composer could achieve a kind of immortality. Not that Liszt had waited until his pianistic retirement to start composing. In his era, every performer customarily wrote music for his or her own use. Many of Liszt’s works that are most popular today – including the fiendishly demanding Hungarian Rhapsodies and Transcendental Studies – were first composed before he left the concert trail. But the versions we hear today were actually extensively revised by Liszt after his retirement. The differences can be startling: for example, one of the Twelve Great Studies was repackaged as Mazeppa, the new title an allusion to Victor Hugo’s poem. This new association with a story about a rebellious Ukrainian count, strapped to the back of a wild horse and driven out into the wilderness to die, puts the piece’s thrilling virtuosity in an evocative new context. In addition to these revisions, the entirely new works that Liszt wrote for the piano transformed the genre, and would influence composers for generations to come. Liszt’s masterpiece for solo piano is undoubtedly the Sonata in B minor, a ground-breaking work that astonishingly unites the variety of the Classical multi-movement sonata with the formal coherence and grandeur of a single-movement work. Liszt takes a handful of short ideas and brilliantly combines, reshapes and transforms them into a 30-minute unbroken whole. The music moves from barnstorming virtuosity to the most inward-looking tenderness, with everything in between. Liszt’s innovations were by no means confined to works for solo piano. As early as 1839 he had envisaged writing an orchestral work based on what he considered to be one of the supreme works of literature: Goethe’s Faust. The Faust-Symphonie is a tour de force of imagination that powerfully draws the drama’s three chief characters, who are each described in a complete movement (Faust – Gretchen – Mephistopheles). Alongside the Faust-Symphonie Liszt can be credited with the invention of the symphonic poem: single-movement works with a title and preface linking them to extra-musical subject matter. 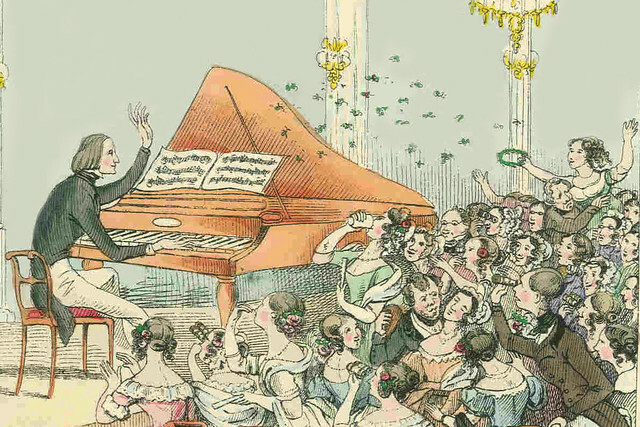 By focussing on such story-telling, ‘programmatic’ music, Liszt placed himself at the vanguard of musical progress. The symphonic poem was later taken up by composers as diverse as Dvořák, Tchaikovsky, Strauss and Sibelius. For all his innovations, Liszt’s new career was not easy. In contrast to the acclaim he had met with as a pianist, the experimentalism of his compositions remained controversial, and even today his orchestral music is rarely heard live. But his many advances – in the vocabulary of the solo piano, in harmony, in crafting dramatic music for the concert hall – ensure that Liszt’s legacy as one of the most dynamic figures of the 19th century is secure. Marguerite and Armand, set to Liszt’s Sonata in B minor, runs 2–10 June 2017 in a mixed programme with The Dream and Symphonic Variations. Tickets are still available. Interesting short guide. It's taken me many years to appreciate Liszt's music and it is largely through Mayerling and Marguerite and Armand that this has happened. His music seems ideally suited to both of these ballets and I think we should be grateful to John Lanchbery for his marvellous choice of music for Mayerling. Not sure who arranged M and A - in the dim recesses of my mind I think Humphrey Searle may have been involved but who chose it I don't know.